We cite drivers for reckless and distracted driving year-round, not only during our enforcement periods, and we hope this weekend reminds Coloradans of that fact. Hernandez said law enforcement officers would much rather give tickets for distracted driving than arrive at crashes caused by that risky behavior. 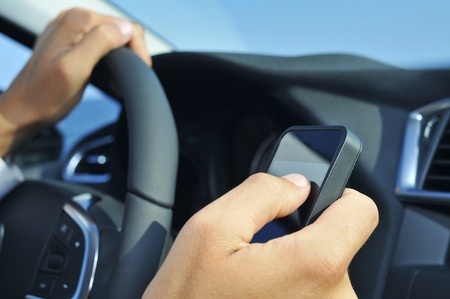 According to preliminary data, 69 people were killed in distracted driving accidents in 2015. Texting and driving is illegal for all Colorado drivers, regardless of age. It may seem like a harmless glance at your phone, but an AAA study indicates that the cognitive distraction from using your phone can last as long as 27 seconds after finishing a distracting task — incredibly too long while driving. As this blog reported, CDOT has invited Colorado drivers to send it their own anti-distracted driving messages for use on highway message signs around the state. CDOT is inviting the public to vote on which messages they like best — the winning messages may appear on highways signs in April. Having signs as reminders is good, but this is also a distraction because you are trying to read the sign while driving. She also reminds drivers not to look at car accidents, which are a distraction. CDOT will launch a statewide “drop the distraction” campaign this summer. Distractions can include: using the radio, CD or other music player; dealing with kids, other passengers, and/or pets; eating or drinking; using a map or other navigation device; and grooming, like applying make-up or shaving. You can learn more by on the CDOT website.